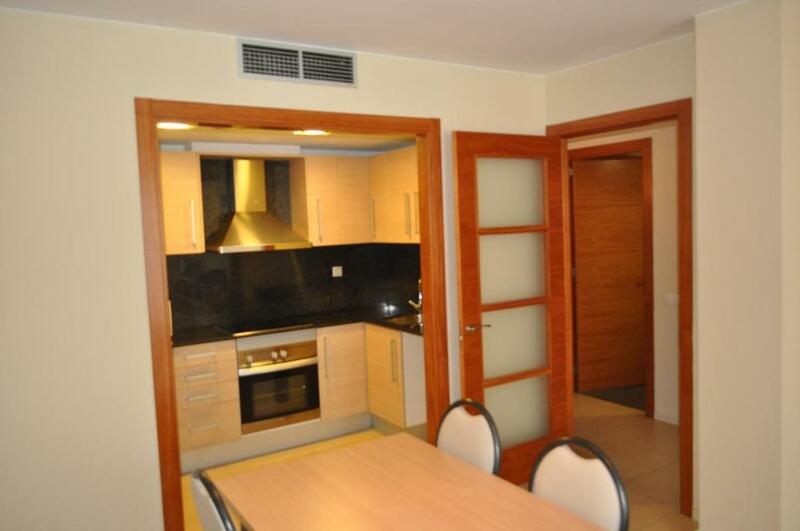 Trimar offers apartments which are not only larger then others but also with more luxury. Not overdone, but quality in everything you need. Well equipped kitchen, nice bathroom. Especially the spacious living room was a bonus. Lots of room with four people. Als very nice are the electric shutters for the windows and doors in front of the balcony. Makes it not only darker when you sleep, but also keeps some of the noise from the streets away. In the nighttime not too much loudness in the apartments from other guests returning from their night out. The 24/7 guard helps with that. Al in all very recommended. Está bien, pudimos entrar antes de la hora. Te dan una lista con todas las cosas que hay en el apartamento, has de comprobar que este todo correcto y sino avisar para que no te lo hagan pagar después. a la hora de la salida lo comprueban todo y una vez revisado te devuelven la fianza. Propreté de l'appart et confort. Climatisation et deux salles de bain. Proche du centre. Accueil rapide et aimable. I punti a favore sono sicuramente la pulizia, i servizi offerti e la grandezza dell’appartamento. La piscina davvero spettacolare e la posizione è davvero ottima, a 5-10 minuti a piedi dal centro. Lo staff è molto gentile e sempre disponibile in caso di aiuto. L'appartamento ben arredato e fornito di tutti i servizi necessari (balconi compresi). Infine la piscina è una vera comodità. El parking,Amplitud del apartamento,cerca del centro . l'accueil était très bien, le personnel disponible et aimable. L'ensemble de l'habitation était propre et le matériel de bonne facture. Nos llevamos una grata sorpresa.Muy buen trato en recepción(a tener en cuenta con el trabajo que tienen en esta epoca)amable y atentos, parking, apartamento limpio y espacioso.Mejor estancia imposible. La chica de recepción. Muy simpática y en todo momento dispuesta a ayudarnos en cualquier cosa. 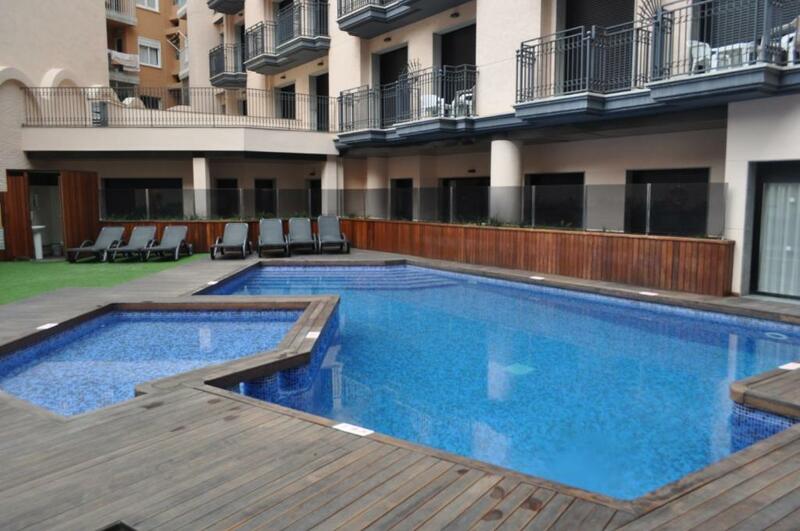 The modern Apartaments Trimar are in the center of Lloret, a 10-minute walk from the beach. They feature a swimming pool and sun terrace, and all apartments have a private balcony. 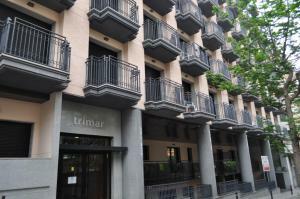 All apartments at the Trimar have air conditioning and heating. There is a satellite TV and sofa bed, and the kitchen comes with a fridge and microwave. On-site parking and Wi-Fi are available for an extra charge. 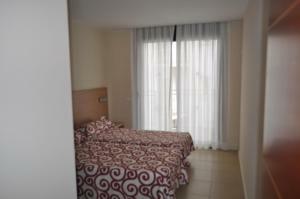 Apartaments Trimar offer baggage storage, and showers are available upon departure days. Trimar has a tour desk and 24-hour front desk, and in July and August there is a night-time security guard. 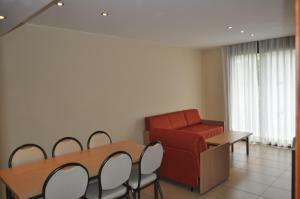 When would you like to stay at Apartaments Trimar? 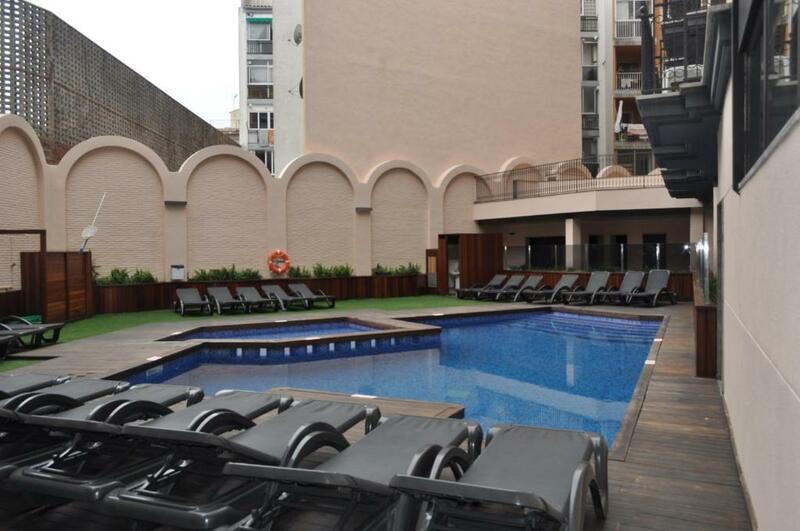 This air-conditioned apartment features a satellite TV and a private bathroom with bath. This apartment features a sofa bed and a bathroom with shower. 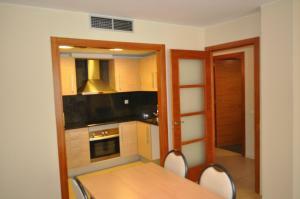 This apartment is located on the ground floor and has street views. It comes with 2 private bathrooms, 1 with a shower and the other with a bathtub. 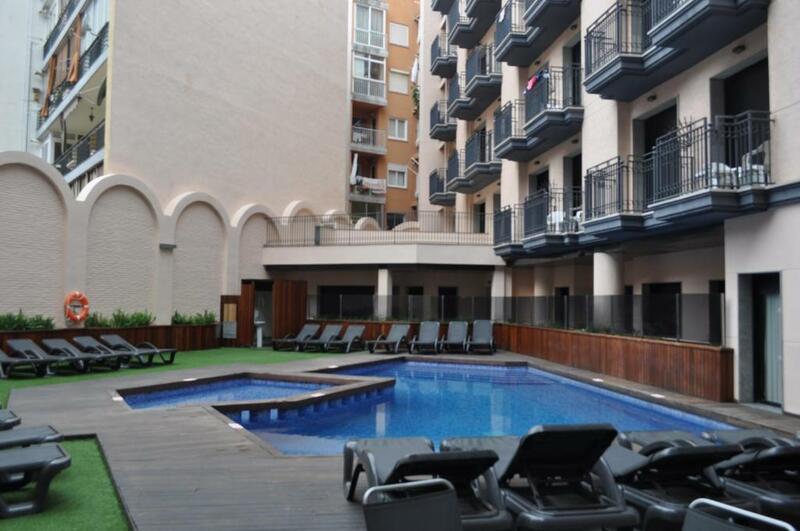 This apartment is located on the ground floor and has street views. It comes with a shower. WiFi is available in the hotel rooms and costs EUR 7 per 24 hours. House Rules Apartaments Trimar takes special requests – add in the next step! Apartaments Trimar accepts these cards and reserves the right to temporarily hold an amount prior to arrival. Towels are changed once a week. For stays of 8 nights or over, a weekly cleaning service is included. 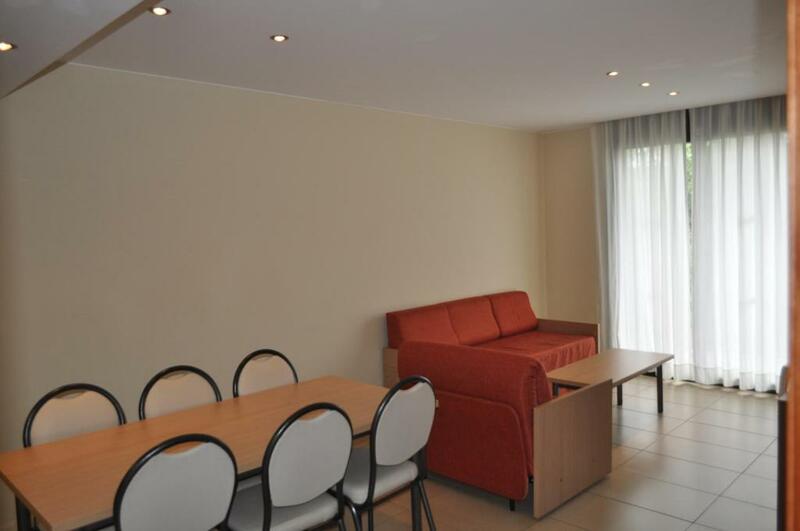 Please note that the 200 EUR deposit must be left in cash, and will be returned once the apartment has been checked. Please note that the credit card holder must sign the card receipt upon arrival. If you are not the owner of the credit card, please contact the property in advance. Distance from the beach was a little further than we thought, but no harm done there. If you find the correct route, it's not too bad. There is a lot of noise on the outside of the property.. a pool facing apartment would’ve been quieter but wasn’t too bad with shutter down.